Our suites are decorated in subdued browns and off-whites and furnished with elegant dressers and beds to provide a warm, relaxing atmosphere. Situated at the top floor, they offer a spectacular view during the day as well as at night. The bathroom uses stone in its chic construction. 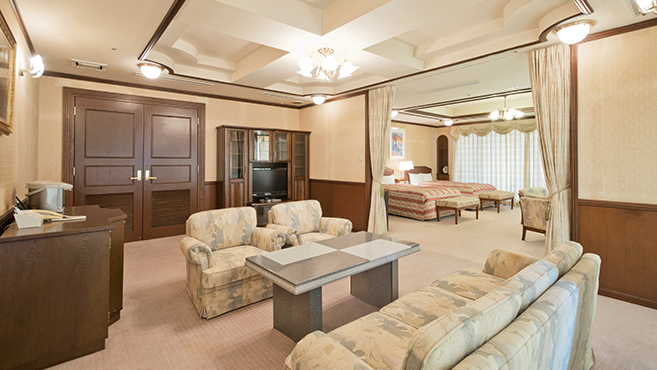 Come and have an exceptional stay in our luxurious and elegant suites. 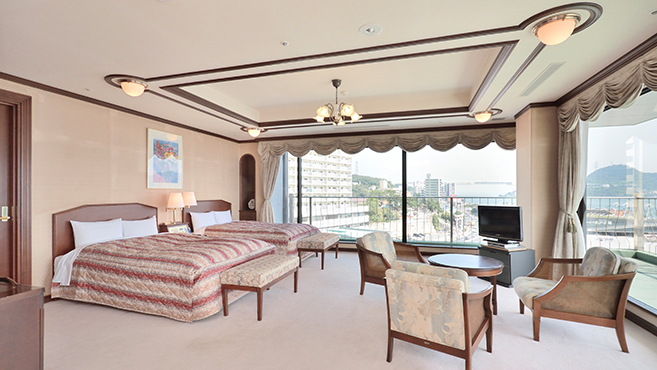 Copyright © 2005-2019 Shimonoseki Grand Hotel All Rights Reserved.